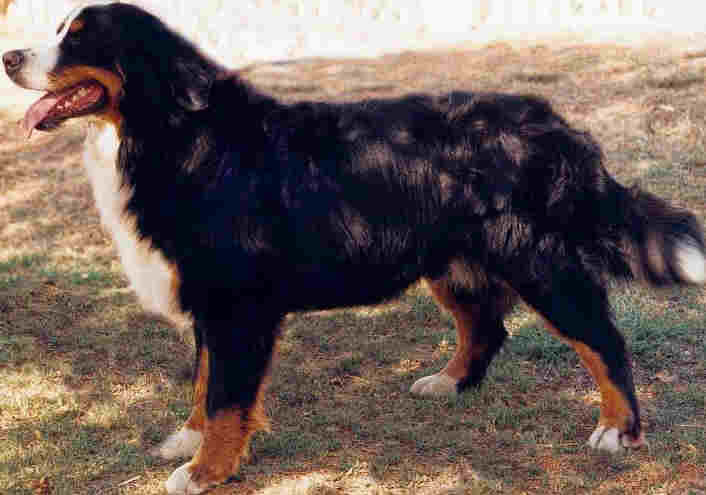 The Bernese Mountain Dogs (Berner Sennenhund, Bouvier Bernois) originate in Switzerland where the breed was established around the turn of the last century. Developed from farm dogs in the area of Bern, the early mentors of the breed defined the Standard in the early 1900's and over the years it has changed very little. A striking tri-coloured (black, tan and white), large dog of impressive appearance, the Bernese has been used for cattle droving and cart pulling but nowadays is mainly kept for his great beauty and gentle character. All breeds of dog are bred to fit to a Standard. This is a kind of blueprint which describes the ideal specimen for a particular breed and all responsible breeders will be striving to ensure that the puppies they produce are typical of the breed with the correct temperament, character, and looks. To be sure that a Bernese is right for your family consider a few points before you go to look at any litters. A responsible breeder will go that extra mile to ensure that not only will a Bernese be right for you, but also that you will make the right home for their puppy. Be cautious of a breeder whose only goal is a quick sale. Bernese Mountain Dogs are a large breed and can take up quite a bit of space in your house. A good size male can be 70 cms at the withers (shoulders) and weight in excess of 50 kilos. Big dogs eat more and can cost more when it comes to medication and other veterinary costs. The average life span is 8 years (recent Kennel Club Survey) and like most large breeds the Bernese are predisposed to joint problems. It is important that any breeder is ensuring that breeding stock is x-rayed to check hips and elbows for any sign of dysplasia as this disease is considered hereditary. Bernese love to be with their family and should be in the house with you. They do not like to be alone and often do not do well without company around. A large breed dog requires training. Do you have the time to train your new puppy? Is your garden securely fenced? Is there a family member at home to look after the puppy during the day? Bernese are good with children but are large and sometimes clumsy as puppies and small children may not be ideal with a growing puppy. Remember at 6 months your puppy will probably weigh around 25 kilos. Ask the breeder as many questions as you can think of. The more you know about the breeder the better. A responsible breeder will have carefully researched the breed and the background of the dogs in their lines. Ask to see puppies from previous litters. Ask to see the sire of the puppies. Ask how old the grandparents are and if they have died what was the cause of death. Ask what the breeder has done to try and ensure a long and healthy life for the puppy (this would include research into prior generations and knowledge of any health issues in the lines). Do you feel comfortable with the breeder and trust their knowledge? Do your research before going to look at a litter. Bernese puppies are very cute but remember that they won’t stay small and they will be with you for many years. Last of all be prepared to wait for that perfect puppy to join your family. 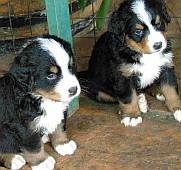 Bernese Mountain Dogs are rare in South Africa and litters are few and far between. F.C.I. : Group 2 Pinscher and Schnauzer type-Molossoid breeds- Swiss Mountain and Cattle-Dogs and other breeds (FCI). The above information and photos supplied by Marion Brown. 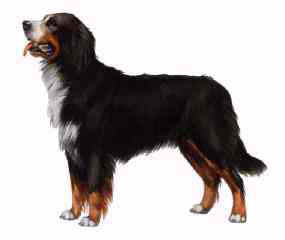 The breed is called Bernese mountain dogs, not Burmese Mountain dogs! A Burmese pet is more likely to be a cat! 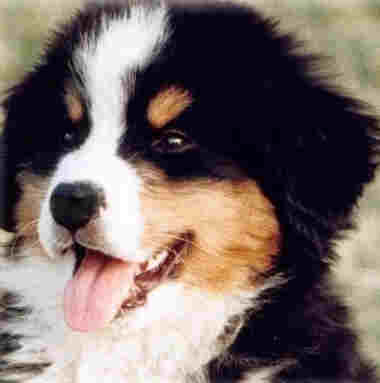 I can picture the Bernese dogs of old, working on the farms, high in the Swiss mountains. Maybe keeping a lonely, yodelling goat-herd company! "Go up into the high mountains, lift up your voice with strength, lift it up, don't be afraid! Say to the cities, 'Look - your God!'"